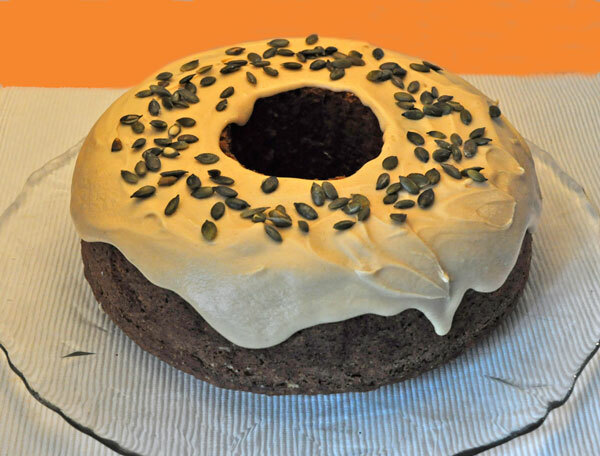 This cake is from the recipe, Pumpkin Bundt Cake, posted in the New York Times. I can’t look at it any longer as I’ve used up my free page-views for the Times for the month, so no more info but I did manage get the link. 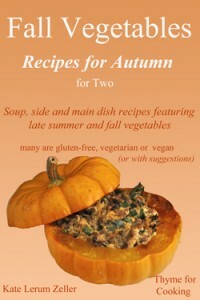 As usual, minor changes were made: fresh pumpkin for canned, a different mix of spices, sugars, etc. It was fantastic…. But the glaze was more of a frosting than a glaze. Next time I will add 2 – 3 more Tbs of water and make a proper glaze. Combine first 9 ingredients (flour through pepper) in a bowl, mix well and set aside. Cream butter, olive oil and both sugars. Beat on medium-high 3 minutes until light and fluffy. Add egg, one at a time, and beat well after each addition. 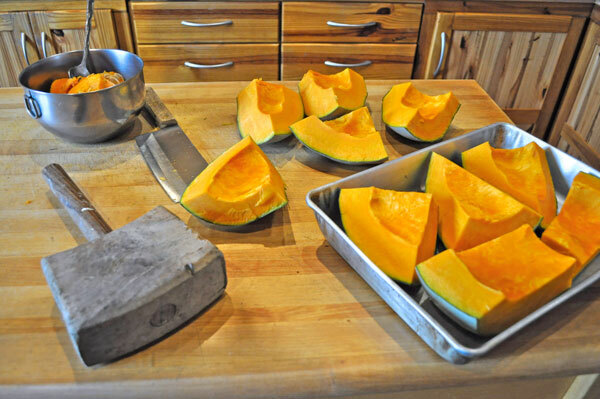 Add pumpkin, yogurt, and mix well. Add dry ingredients, folding in gently with a spatula until well combined. Pour into prepared pan. Tap a few times on the counter to release any bubbles. Bake, 55 – 65 minutes, or until toothpick inserted into cake comes out clean. Run a knife around the edges to loosen, then remove cake from pan and allow to cool completely on a rack. Put parchment paper on rack first to allow you to easily slide onto a cake plate. Paper will slip out from under cake after it’s on the plate. Cook butter over medium heat, stirring occasionally, until golden brown. Pour into a bowl, whisk in powdered sugar and maple syrup. Add 1 – 3 tbs water, depending on how you like it. When cake is completely cool – frost it. 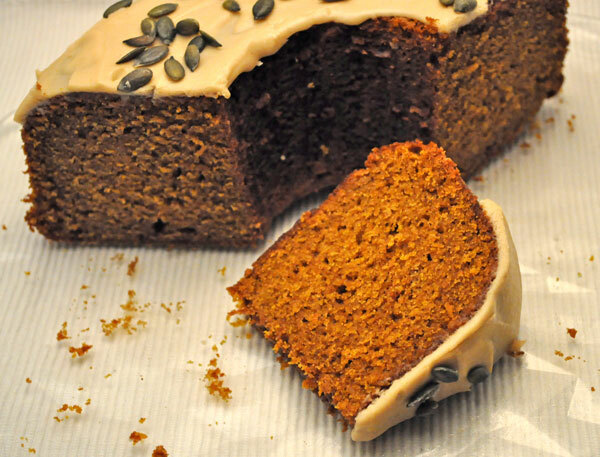 Obviously, this cake takes more time if you have to cook the pumpkin first. I guess it’s kind of a gray-blue now that it’s been in the dark cellar for a month. This was the smallest one so I managed to cut it in half with my cleaver and mallet. 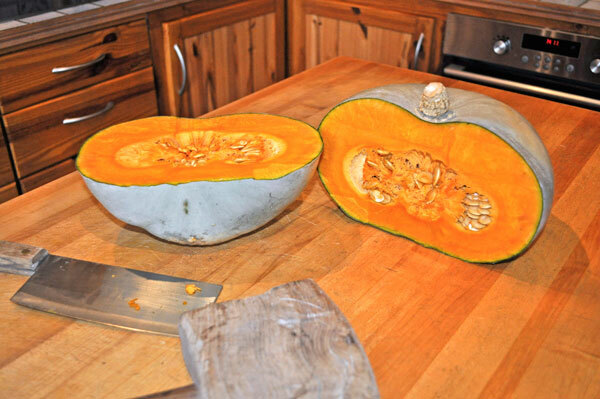 Mon mari will have to do the big ones with his machete – outside. I clean it, then cut it into big chunks. I add a cup (or so) of water to the bottom of the pan, cover it with foil and roast, 350F (175C) for 90 minutes, or until very, very soft. Then I let it cool, still covered. When I take the flesh out it’s the consistency of a puree and ready to use in baking or as a creamy soup. I got about 10 cups of pumpkin from this one. I see a lot of soup in our future. 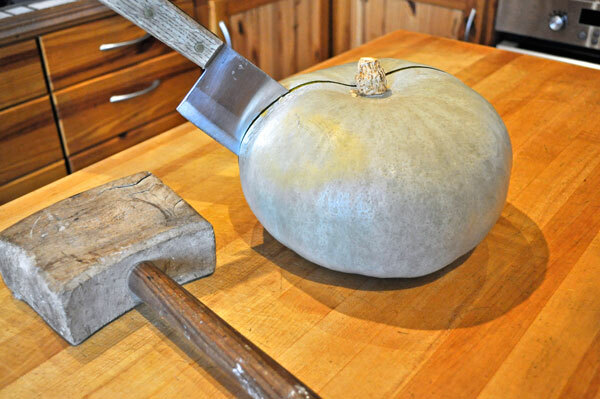 What a great picture ~ taking the bigger pumpkins out side with the machete! Looks like great cake, I like it as icing. Wow, now that is a mallet! 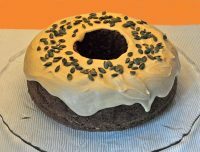 And oh my, that cake looks divine, especially with the brown butter maple frosting! Yum. Wow this is my sort of cake…looks huge..I could eat the lot !